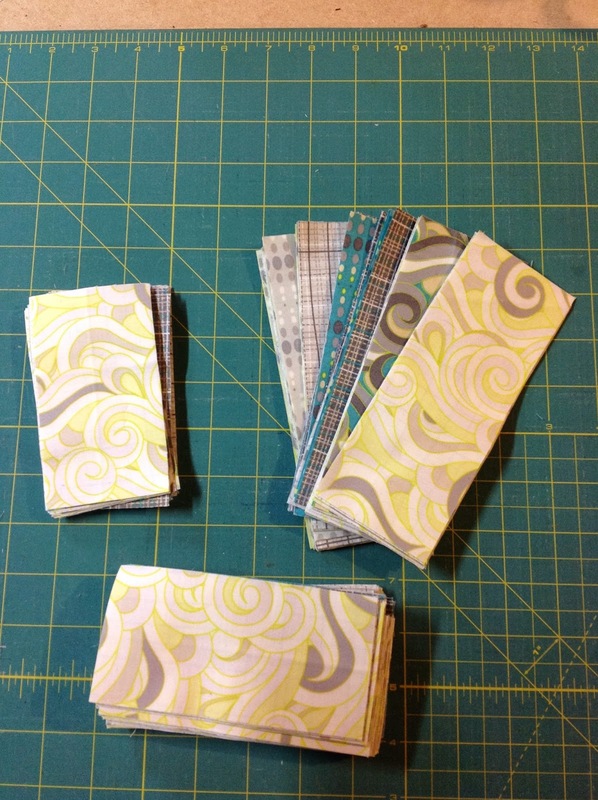 Remember these stacks of Angela Walters' Textures fabric I showed you on Thursday? They grew up!! This is the layout on my design wall I had last night. The super-easy pattern, Off Track, is the first PDF one I bought online, from Allison Harrison of cluckclucksew.com. I bought some Textures by Angela Walters fabrics from Christa Quilts this winter. It was on sale, yay, partly because Angela has two lines out, I believe, since this one, and partly because Christa is closing that store, as she now has a pre-cuts store on Amazon. This is my first Art Gallery Fabrics fabric. Wow, "Feel the difference" is their slogan on the selvedge, and it's so true! Such fine, smooth cotton, mmm. Here is the top, aka flimsy, all done! The morning's rain stopped, and later in the afternoon the sun came out, so I was able to get an outside picture after supper! Such breezy summer colours...aha! 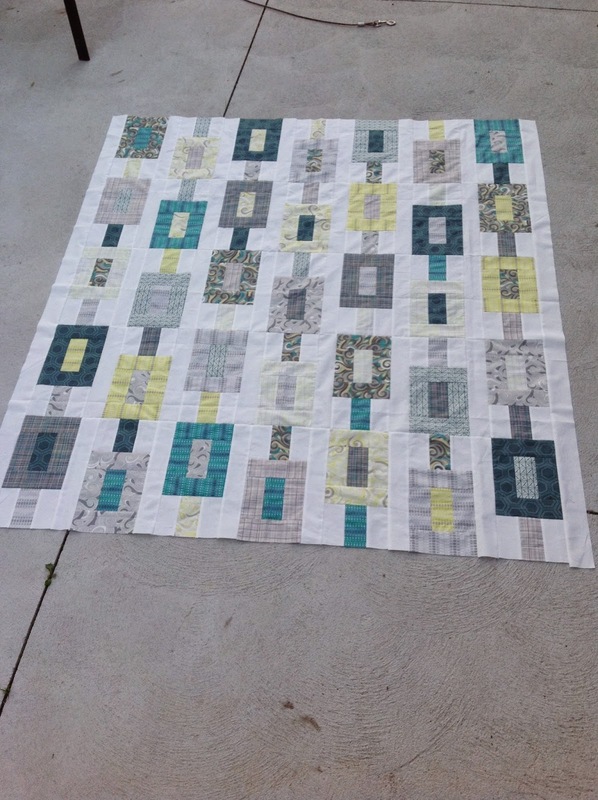 The quilt now has a name: Summer Breeze! I bought backing from Fat Quarter Shop, from their sale fabric (so good), and a 1/2 yard of the Cobblestones in grey for the binding. I also picked up two pieces from Angela's Legacy line from them that I thought would coordinate with Textures, and they sure did! It increased the different fabrics from only 9 to 11. I have some lots of leftover fabric, so I can feel another throw-sized quilt germinating. . . and I already know what quilting motif I want to do on the negative space white area of this one! I am linking this post up with Sarah of Confessions of a Fabric Addict for her Can I Get a Whoop Whoop? Linky Party, as I am SO pleased that I got this top done, and it turned out every bit as great as I'd imagined! I also am dancing a happy dance over the earlier post of today: I am so very happy when my quilts are showing signs of wear. Like wrinkles on a face, they are the smile lines of love on a quilt. I am also linking up with Marelize of Stitch by Stitch for her Anything Goes Mondays. so pretty! I love the design and especially appreciate an easy pattern once in a while! Hi Sandra - you quilt caught my eye - I like modern and I like this colour scheme - but I really enjoyed the title of your blog. How did you come up with Menopausal Melon?!! Like "wrinkles on a face". Hmmm. I feel a sarcastic comment coming on LOL!!!!! 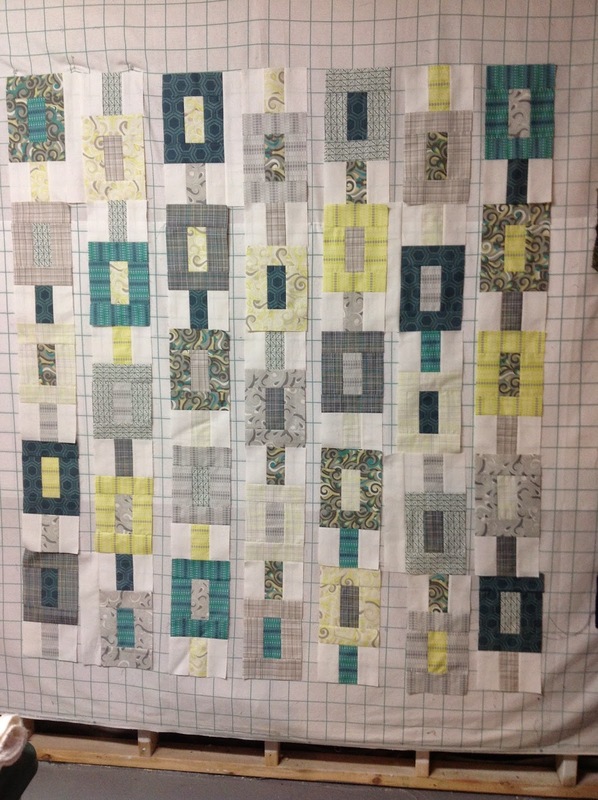 The quilt looks to my (very untrained non-quilter) eye like chain links! Oh and would you like me to reply to Hilary's question above about the title of your blog??!! BAHAHAHAHA! !